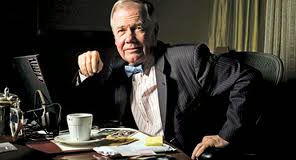 Jim Rogers, renowned investor and chairman of Rogers Holdings, denies he will visit North Korea in March at the invitation of the country's leader, Kim Jong-un. "I know nothing about it… I haven't heard from anyone, not even the reporter who wrote the story," Rogers told the Global Times, in response to local media reports that claimed the US investor was invited by Kim to visit Pyongyang and US government approved the visit. "[This is] bizarre," he added. The reported invitation is widely regarded as an indication of the North Korean government's moves to attract foreign investors. It also comes as US President Donald Trump and Kim are scheduled to hold their second meeting in Hanoi, Vietnam on February 27 and 28 to discuss denuclearization on the Korean Peninsula. Observers believe such a deal could pave the way for North Korea's economic opening-up.